Did you know that approximately 62% of Americans have zero dollars stashed away in savings and investments? Too many families are one emergency room visit, one mechanic fee, or a lost job away from financial ruin. With credit cards maxed out, families struggling to make ends meet often lack a financial life preserver to keep them afloat during tough times. People in this situation need to reduce spending or increase their income or more likely — do both. If you are already on a bare bones budget with nothing left to cut, then maybe it’s time to consider a side hustle to help you go from living paycheck-to-paycheck to living comfortably. Side hustles are anything that can bring in extra money. Most people side hustle before or after their 9-5 job or on the weekends. Some typical side hustles are selling items on eBay, mowing lawns, babysitting, or creating goods to sell on Etsy. More lucrative side hustles include freelance blogging, being a virtual assistant for websites, graphic design, and website management. Not only do side hustles help to bridge the gap in your finances, but there are many other benefits as well. Side hustling can serve as an outlet for all of your unused creative energy. People easily lose themselves to the daily grind of work, bills, kids, and financial struggles. Don’t let the mundane slowly chip away at your once vivacious life. Take time to focus on your passions again. Pick up wood carving and sell your items on Etsy. If you love plants and gardening, side hustle as a landscaper. If you love writing, Get Paid to Write for Blogs for blogs with topics you’re passionate about. Use your side hustle to help you live a dynamic and fulfilling life again. Income from your side hustle should go to your highest need first, which for many is eliminating debt and establishing an emergency fund. Side hustle income can help increase the speed in which you reach financial freedom and provide the wherewithal to handle the curveballs life throws your way. Once debt is eliminated, put your side hustle money to work for you in your retirement accounts and funding other goals to create the life you want for you and your family. Investing your money to create long-term wealth is critical and key to helping you live a comfortable life now and in retirement. Many of us have underfunded our goals and side hustles provide a great way to give your savings and investments a much-needed boost. Another advantage side hustles offer is the ability to expand your skill sets. For example, dog sitters may be able to learn a new skill, like dog grooming, which would be seen as a value-add from a client’s perspective. Over time, you will want to hone complementary skills to make your work more marketable. If you are a freelance writer and want to write for blogs, you could take a course to help broaden skill sets, such as learning SEO, graphic design or HTML coding. Bottom line: learning new skills allows you to increase your service offerings and earnings. New skills that you learn from your side hustle can also help you win a promotion at work or find a better paying position at a new company. A side hustle could even help you pay tuition costs if you decide to go back to school and start a new career altogether. Your side hustle could even become a large enough income generator to sustain you if you lose your full-time job. Or minimally provide some peace of mind and cushion if your job situation is tenuous. More and more people recognize the benefits and security multiple streams of income provide, especially during times of uncertainty. And you never know — you may become one of the lucky ones who turn their side hustle into a full-fledged business once their side hustle earnings consistently outpace their 9-5 paycheck. Ultimately, there is no reason to be stuck living paycheck to paycheck when there are so many different opportunities for making money on the side. Start by asking yourself what brings you joy, then figure out how to make money doing it. If you have a passion for your side hustle, the money will likely follow. Cat and I connected a couple of years ago and it has been a real pleasure to get to know her. She’s an amazing Mom, blogger and business owner. 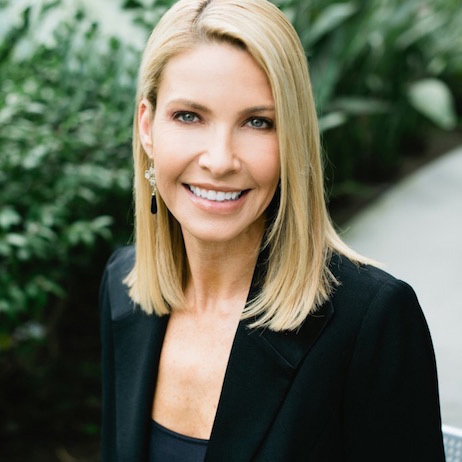 Beyond her incredible work ethic, Cat cares deeply about those she serves, which led her to develop a top-notch program to help freelance writers build a successful business from the ground-up, just as she has done for herself. I’m so proud to support Cat and pleased to offer my readers a special 15% discount on her program. If you want more information about getting paid to write for blogs, please check out this course. I think #6 is most important, because your primary gig with an employer is never guaranteed. It's not unfortunately and having multiple streams of income can really help soften that blow. I could not agree more about side hustles. They have helped me out TREMENDOUSLY as a freelancer who doesn't always have steady income. Plus if you work full time it's always nice to have a plan B. As a financial advisor, we're always thinking about Plan A, B, C and all the way down to Z. :) Side hustles can provide a nice safety net to someone who has a steady income, but it becomes almost a necessity to someone who has fluctuating income. 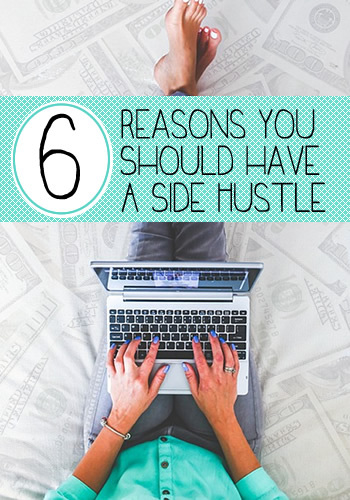 I actually never even heard the phrase "side hustle" until I started blogging almost two years ago, but now I really see the value of it and I think as long as your job allows it, it's something most people should try. I made over $5,000 last year from just freelance writing, and I didn't even try that hard to get the jobs. It was not only great to have the extra income, but I loved the creative outlet of writing. I honestly was unfamiliar with the term until I started blogging too. Side hustle maybe sounds a bit more enticing than second job, which doesn't always have the best connotation. Side hustles are definitely a proven pain-free way to earn some extra money as you have already experienced. Thank you so much Shannon for your support of the course! I really appreciate it! You're welcome, Cat! Best wishes on your new business venture! You should absolutely pursue it, Mackenzie. You write so beautifully and it seems like a natural fit with your talents! Aside from earning more, #4 is the reason why I have side hustles. The more skills I learn the greater opportunity I can have. Absolutely, Jayson. Increasing and improving skill sets is a huge advantage and definitely can help you land more opportunities. Someone very close to me was recently let go. It was a startup that didn't succeed and she was only given two weeks severance pay (better than nothing at least!). As her only source of income and a single person living on her own, she's completely stressed out. She's deep in credit card debt with no emergency savings. She's planning to move out of her apartment and in with a family member as she continues her job hunt. This news was devastating for me to hear because if she had planned, saved and looked for a side hustle even if it was just dog sitting, she'd be in a better financial place. Having multiple sources of income are so helpful! I love # 2. Currently, that is the reason why I do freelance writing. I have a day job for more than 15 years and I ventured into freelance writing 5 years ago. I agree that having this will help in paying debts and allow you to have other sources of funds.